Hail to the zombified king, baby. Duke Nukem, Doom—what year is it, anyway? This week, Randy Pitchford wants you to remember all the good times you had with the Duke instead of dwelling on Duke Nukem Forever, plus Doom runs inside Doom and Just Cause 3 turns into a choose-your-own-adventure. This is the gaming news you need to know for the week of July 13. Like one of its own jump scares, Five Nights at Freddy’s 4 is set to pop out of the air and onto Steam three months earlier than expected. Originally slated for a Halloween release, the game will now come out on August 8, a.k.a. exactly one year after the original. Yes, three sequels in a year. Yes, it’s too much. Yes, this is supposedly “the end” of the series. Requiescat, Freddy. We’ll always have a billion scream-filled YouTube videos to remember you by. Sure, they might not have the visual pizzazz of the upcoming Total War: Warhammer, but GOG.com managed to secure the rights to a trio of Warhammer/Warhammer 40K titles this week—Warhammer 40,000: Chaos Gate, Warhammer: Shadow of the Horned Rat, and Final Liberation: Warhammer Epic 40,000. I hoped Duke Nukem was dead. 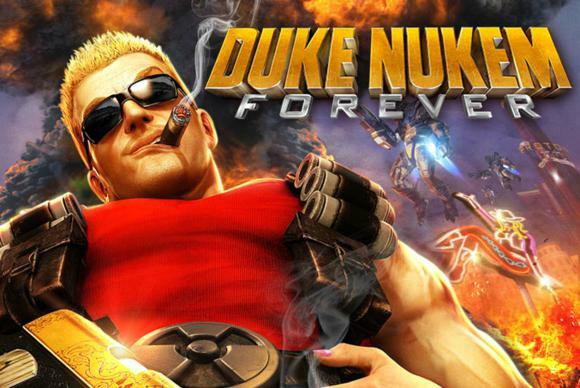 No offense, Duke, but uh…Duke Nukem Forever was really bad. Maybe you heard. Maybe something penetrated the thick layer of one-liners slowly dissolving your brain with enough force to make you understand how damn terrible Duke Nukem Forever was. Enter Gearbox CEO Randy Pitchford, with a car battery and a pair of wires. “We can bring him back to life!” he screams, before launching into a mad scientist cackle. Coming in with maybe the strangest business model I’ve ever heard is upcoming title The Flock. The game will launch with an in-game population countdown. Every time a player dies, the population will decrement by one. When the population hits zero, the game will be pulled off Steam—forever. Only people who bought the game already will get to take part in what the developers call the “cinematic finale,” and then the game will basically self-destruct. Nobody will ever be able to play again. Regardless of what went on behind the scenes, Deep Silver says the project is still alive. Somewhere. Though this is now the second developer to leave Dead Island (after original creators Techland left to make Dying Light) and the third developer Deep Silver has split from in short order (factoring in problems with Crytek regarding Homefront: The Revolution). If you’d like to blow up the statue, turn to page 28. If you’d like to blow up the oil tanker, turn to page 57. If you’d like Rico to meet “The Reapaz,” turn to page 75. Check out this Choose-Your-Own-Adventure trailer for Just Cause 3. A trio of virtual reality stories this week: First, my impressions of Oculus Touch—and why it absolutely should’ve shipped with the Rift. Then my recent interview with Oculus VP of product Nate Mitchell. And finally, our most comprehensive VR-for-absolute-beginners article yet. Batman: Arkham Knight? More like Arkham Not. As in, not fixed until this fall. Dying to test-run Dragon Age: Inquisition? EA’s letting you play the first six hours for free. A pair of reviews this week: Traverser is a beautiful but shallow puzzler, while You Must Build a Boat will absolutely wreck your sleep schedule. On the hardware side, we reviewed AMD's beefy Radeon R9 390X and not one, but two Radeon Fury graphics cards in CrossFire. And even though this is a PC site, take a brief moment to mourn the loss of Nintendo president Satoru Iwata. The man did a lot for video games.